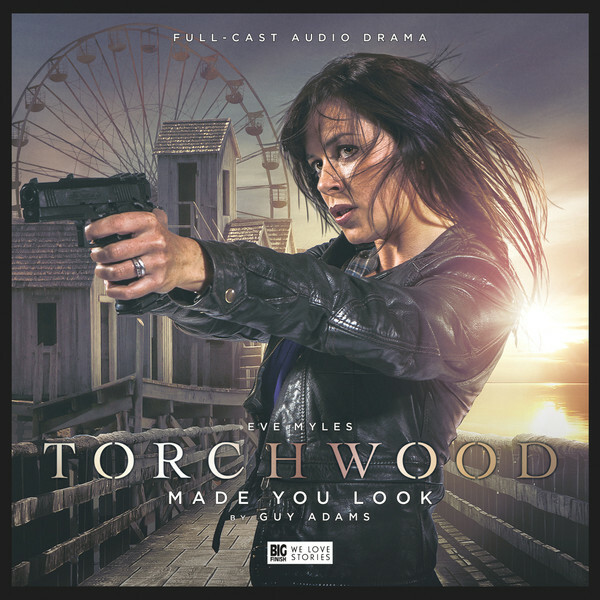 A Full Cast Audio Adventure on a single CD starring Eve Myles as Gwen Cooper, guest-starring Matthew Gravelle (Broadchurch) as Darkness. Those who visit the seaside town of Talmouth never seem to come back. It could be simple disappearances, or aliens, or that shadowy presence in the corner of your eye. It’s time Gwen Cooper paid a visit... Having largely focused on character-driven pieces so far, this release sees the Torchwood range go for full-blooded psychological horror. Prepare for something intimate, chilling and very Torchwood.